Disneyland, in California, has got to be one of my favorite places in the world. For those who know me, this may come as a surprise. I don't like crowds, and I don't like lines. If you have never been to Disneyland, let me fill you in. They have both of these things there. So why do I like it? 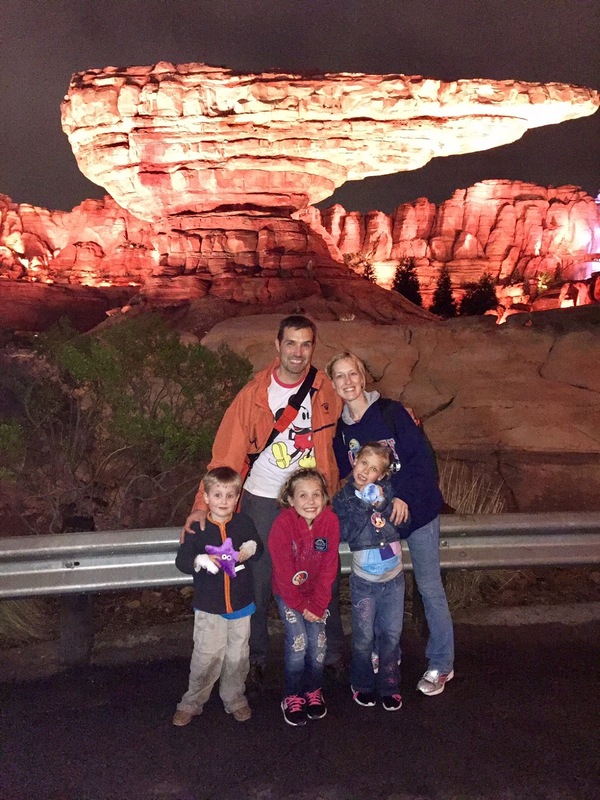 Unlike other theme parks, Disneyland is filled with magical wonderment, which I can enjoy as an adult, and I enjoy even more with my kids. When Big E was 2 and we took her to Disneyland for the first time, I wept when, as we got off a boat ride, "Captain Emily" said, "You dropped something, princess," and proceeded to give her a plastic "glass" slipper. Magical! For me, this kind of magic overcomes my dislike of crowds and lines. But Disneyland can be a daunting undertaking. I consider myself somewhat of a seasoned pro when it comes to making the most of a Disneyland vacation. So here are 13 tips for a wonderful Disneyland vacation. 1. 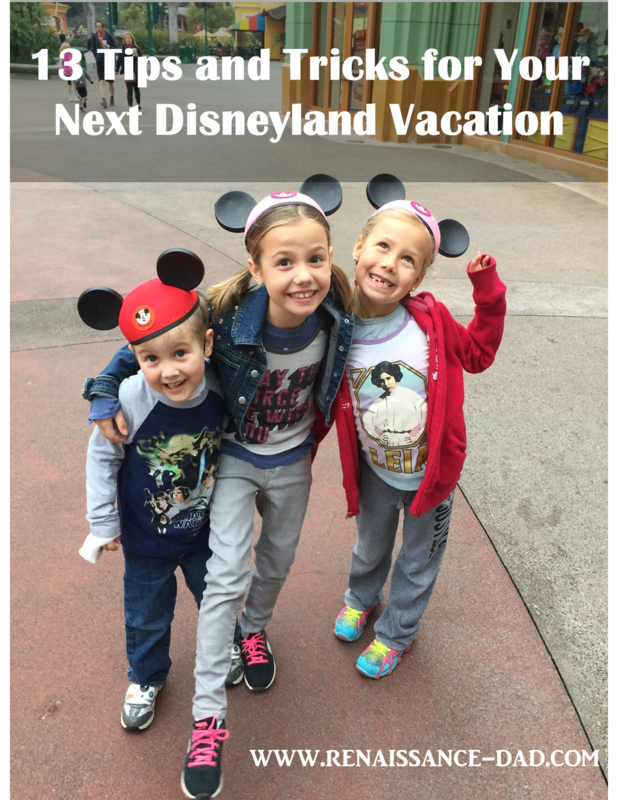 Hotel - When it comes to staying at Disneyland, I love staying at a Disney hotel. Sure, it is less expensive at other neighborhood hotels, but if you can, spring for a Disney hotel. There is something magical about being close to the park, getting into the parks early (see #2), and having the "We will do whatever it takes to make your day magical" attitude. I spend several weeks watching the website for the lowest nightly fare that I can find. The deals come and go, so when you see something that you think can't be beat, lock it in right away. If you find a better deal within the Disney hotels you can change your reservation. 2. Magic Hour - Part of staying at a Disney hotel is getting an extra hour in either California Adventure or Disneyland just by showing your room key. This to me is the main reason to stay in a Disneyland hotel. Four years ago we got on six rides in the first hour without waiting in line for any of them. Be sure to check the list of rides available and days of Magic Hour. 3. Rain gear - Check the weather before heading to the park and pack rain gear if necessary. It is also important to make sure that the rain gear works. Our most recent visit was the storm that ended California's drought. Our rain gear was not sufficient. But if you are in the park with no or insufficient rain gear, head to the nearest shop and pick up a Disneyland poncho. $10 is well worth staying dry for your day in the park. ...but bring it if you can. 4. Comfortable clothing - this is a given, but I would like to plug one of my new favorite articles of clothing. For Christmas I got a pair of Duluth pants (http://www.duluthtrading.com). They are the most comfortable pants I have ever worn, so I decided that they would be my Disneyland pants. Not only were they comfortable, but, since they repel water, I stayed perfectly dry from the waist down on our trip. 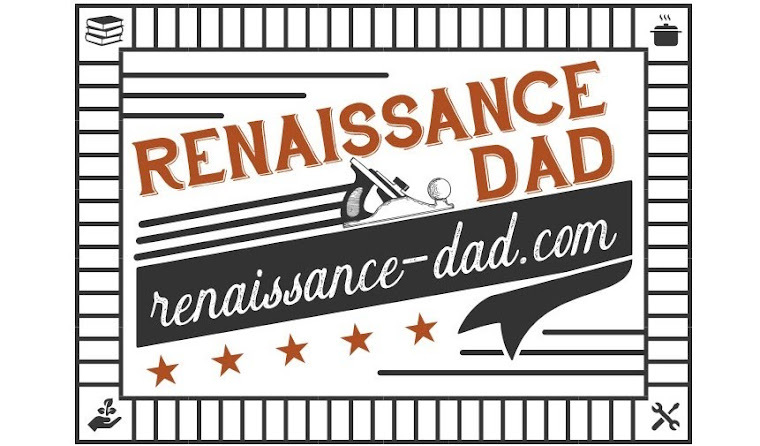 Dads, these are well worth their weight in gold. Moms, you should make sure the dads out there have at least one pair of these. 5. There's an app for that - There are many Disneyland apps that all claim to be the best. Two that I like are the Disneyland App and RideMax. The Disneyland app is a free app that shows wait times, character locations, restaurants, shows, and (important for any parent) restrooms. You can also store your tickets and reservations in the app, keeping everything handy in one place. RideMax is a paid app ($15 for 90 days). You enter in the rides that you want, the pace you want, and the number in your party, and they give you an itinerary that is remarkably accurate and minimizes your time in lines. It's Walt Disney meets MIT. 6.Character breakfasts - We first discovered this a couple of trips ago. There are character meals throughout the day with characters walking around greeting the guests. The food is really good, and, while the meal tends to be a little expensive, this is usually our one big meal of the day (breakfast is buffet style). The kids love meeting all the characters, and I love not waiting in lines to do it. My recommendation is to shoot for a between meal time and supplement with snacks (Plaza Inn in Disneyland around 10:30, or Ariel's Grotto in California Adventure around 4:30). Reservations need to be made ahead of time. Just like with the hotel, if your preferred time is taken, keep checking back up until the day before. 7. Dole Whip - This is a must. If you do nothing else at Disneyland, you must have a Dole Whip. It is located by the Tiki Room in Adventureland. Dole Whip is a really refreshing whipped pineapple soft served heaven on a cloud. Plan on getting a couple of extras to share, because one is never enough. The line is usually long, but if you go into the Tiki Room waiting area, there is a second line there which is usually about a quarter of the length. If you have little kids, ask for an umbrella for their Dole Whips and relish in being the hero. 8. Fast Pass - Fast Passes are available for most of the rides that typically have longer lines. Send one member of your group (with everybody's tickets - required for obtaining a Fast Pass) to get the Fast Passes. These allow you to move to a much quicker line, usually less than 10 minutes. Look at the time to obtain another Fast Pass, and keep them coming. The less you wait in line, the better. Big E is a Jedi now! 9. 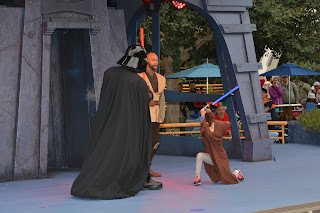 Jedi Training Academy - We almost missed this one with our kids. 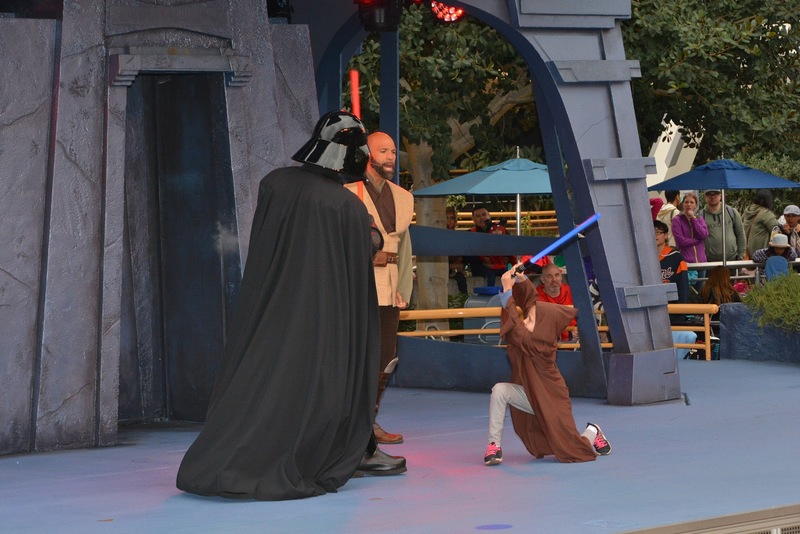 This is an opportunity for kids to lightsaber fight Darth Vader. You need to sign your kid up for it first thing in the morning, and you will be given a time for the academy (make sure your kid is with you when you sign him or her up). If your kids don't get in, sign them up for an alternate slot. Big E was an alternate and got into the academy the second time we checked in. She said it was the highlight of her day. 10. Rider Swap - If you have multiple adults, you are eligible for Rider Swap on any ride with minimum height requirements. One adult and any eligible children go through the line and onto the ride. They then ask for a Rider Swap pass. This can be given to the other adult and/or eligible children, who can then skip the line and have a turn on the ride. This is a must-remember for any families going to Disneyland with younger children. waiting for my wife and one daughter to ride the roller coaster in California Adventure, which Little E couldn't ride, we looked at the carnival games. While most of the games are typical, favor-is-not-on-your-side carnival games, the Goofy About Fishin' game was not. It cost $2.50 to hook a fish with a magnetic fishing pole, and every fish was a winner. Granted the prizes were little stuffed animals, but nowhere in Disneyland can you buy a stuffed animal for less than $15. Little E was so thrilled with his starfish and whale and turtle and another whale, that he didn't care that he was too short for the roller coaster. 12. Gluten Free Eating - If you or a family member happen to be gluten free, there are many things to eat in the park. In fact, I found Disneyland to be one of the most gluten free friendly places that I've ever been. We had no problems finding gluten free buns, gluten free waffles, and many other things that made our kids happy. 13. Disneyland City Hall - Know where this is, because this is where lost items are taken, including but not limited to lost cell phones and lost kids. Yes, I admit it, we have lost our kids at Disneyland. One at each of our last two trips to Disneyland. The first time we found Big E right away because we were wearing matching shirts and a Disneyland cast member located us right away (they have a highly efficient way of reuniting kids with parents). The second time Big A was gone for about ten minutes. She wandered away on Main Street. We looked for her for about a minute, and then my wife and kids stayed where we were and I headed straight to City Hall. While they were contacting security, a cast member walked up with my daughter. It was scary, but because I was waiting at the right place, we were reunited fairly quickly. Disneyland is a magical place. A place where crowds somehow do not affect me the way that they do at the mall or in Costco. It's a place where I get excited buying a $5 chocolate covered frozen banana, because it tastes so much better in the park (I think they sprinkle them with pixie dust). I can't wait for my next trip, so I can hopefully bring you some new tips and tricks. Walt Disney said, "It's kind of fun to do the impossible." I think he was referring to not only surviving but completely enjoying a family trip to Disneyland.